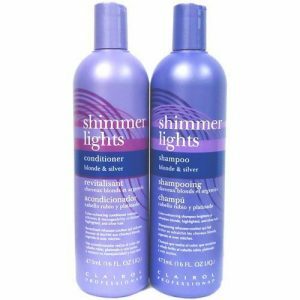 Home | Hair Care | Using Purple Shampoo To Remove Brassy Hair Tones – Shimmer Lights? Using Purple Shampoo To Remove Brassy Hair Tones – Shimmer Lights? Why Use Purple Shampoo For Blonde Hair? Do you have blonde colored hair with unwanted brassy tones? Here’s the scoop: attaining that perfect blonde color often requires the removal of brassy colored tones. Violet or purple shampoo for brassy hair are the best ways to achieve that goal. When it comes to purple shampoo, however, things aren’t always so clear! From Clairol to John Frieda to Joico, there’s no shortage of options when it comes to finding the perfect purple shampoo for you. Here at Maple Holistics, we want to help make that job a little bit easier for you by bringing you our breakdown. Buckle up and get ready to go to purple shampoo school! Brassy and ashy hair tones are complete opposites. Brassy tones make blonde hair look warmer hues of yellow, orange, and sometimes red. These often unwanted warmer color tones can give blonde hair an orange or yellow hue. On the other side of the spectrum is ashy colored hair. Ashy tones make blonde hair appear cooler shades of blue, green, and violet. These tones are most prominent in platinum blonde and gray hair. Obtaining perfect blonde coloring often requires balancing brassy and ashy colors using yellows, reds, and blues. Even if you have the best hair colorist, the balancing pigments can fade over time. Exposure to the sun and water with high levels of iron can also cause brassy tones as well. One of the best corrective and preventative measures you can take is to use purple or violet shampoo! There is an astounding amount of public promotion and word-of-mouth regarding purple shampoo. Some claim it to be the cure for brassy hair, while others claim, well, hype. Now keep in mind, no two people are alike, which means perfection is relative. My guess is purple shampoo does not have the ability to make everyone happy all the time, but will help most feel happy some of the time (I dug deep for that one). The easiest way to understand how purple shampoo works is to learn a little bit about color theory. 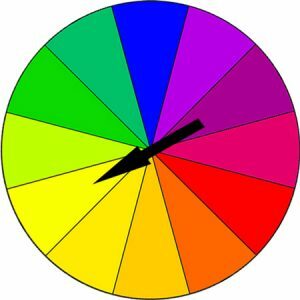 Take a look at the color wheel pictured to the right. Purple and violet are the exact opposite of yellow and orange. When you apply purple shampoo to brassy blonde hair, the lighter yellows and oranges are neutralized by the opposing dark colors (purple and violet). The reduction of the yellows and oranges leads to less brassy hair. Bending to the hype and my pain-in-the-brass hair problems, I decided to purchase several bottles of purple shampoo for testing. While there are dozens of purple shampoo options available for consumers today, we’ve identified three distinct contenders for the Maple Holistics purple shampoo crown: Clairol Shimmer Lights Conditioning Shampoo, John Frieda Sheer Blonde Color Renew, Joico Color Endure Violet Shampoo. Each of these shampoos claims to help blonde color stay balanced by removing brassy tones. I will be reviewing each in the following categories: Ingredients, Texture, Color Depth, & Scent, Price, Effectiveness and Overall Value. It wasn’t possible for me to test each one immediately after the other. Instead, I had to spread out each test over the course of several weeks. According to Clairol’s website, the Shimmer Lights Hair Care purple shampoo is formulated to remove brassy colors that can appear in blonde, brunette, or red hair. 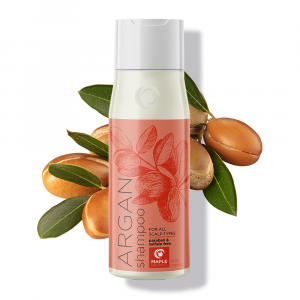 The formula is supposedly fortified with extra proteins, and is supposed to leave the hair shiny and residue-free. I didn’t expect the ingredients to be the cleanest, but a few stood out as being potentially harmful: Sodium Laureth Sulfate, Sodium Lauryl Sulfate, Cocamidopropyl Betaine and Hydrolyzed Vegetable Protein. The second ingredient on Clairol’s purple shampoo was Sodium Laureth Sulfate (SLES). SLES is a harsh detergent often used in hair care products to help the formula lather and remove dirt and oil from hair stands. There is huge controversy surrounding SLES. Some claim it to be skin irritant that can cause very bad scalp irritation, skin rashes and allergic reactions. Even if an individual doesn’t suffer negative reactions, the chemical compounds can dry out the scalp and hair, leading to dandruff and brittle strands. To reduce harshness, SLES is combined with ethyle oxide, a chemical that can contain the toxic byproduct 1,4 dioxane. This toxin is known to cause headaches, eye, and throat irritation. In the late 90’s a rumor circulated the internet claiming that using shampoos containing SLES or SLS increased the odds of cancer. Studies have shown this to be false. However, that doesn’t make the chemical compound any healthier for the body in my opinion. Sodium Lauryl Sulfate (SLS) is very similar in nature to Sodium Laureth Sulfate and is also considered a surfactant (detergent). SLS can also leave chemical deposits in hair follicles, speeding up hair loss by inhibiting normal hair growth. SLS can also be corrosive to the skin. 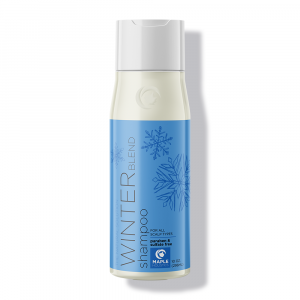 Like the two previously discussed ingredients, Cocamidopropyl Betaine (CAPB) is a surfactant that helps thicken shampoo formulas, and it promotes easy lathering. Although CAPB is derived from coconut oil, this chemical is by no means “natural” in the sense it promotes a clean, healthy lifestyle. CAPB is known for causing eye irritation and can trigger dermatitis breakouts. Last but not least, Clairol’s Shimmer Lights Hair Care purple shampoo contains Hydrolyzed Vegetable Protein. This is the “added proteins” they mention on their website. In theory, adding protein to hair care products makes sense. This is because hair strands are largely made up of keratin proteins. Hydrolyzed protein is protein that has been fractionated (split into smaller units) so that it can easily penetrate the hair shaft. Summary: Clairol’s Shimmer Lights Hair Care purple shampoo contains every harsh ingredient in the book and throws in hydrolyzed vegetable protein as a bonus, or possibly, to help repair the damage caused by the harsh sulfates in the ingredients. The formula of Clairol’s purple shampoo was VERY runny. Leave the palm flat and it will slide off in seconds – cup your palm gals! It lathered and applied nicely, but was not easy to rinse. It also left temporary violet staining in my hair which I was not very pleased about. They washed out within 2-3 washes, but I was very nervous at first! Clairol’s Shimmer Lights Hair Care was a deep shade of purple. As you’ll read later, it was one of the darkest purple shampoos I tested. Be careful where you apply this shampoo because it will stain everything! I’m uncertain I should call the scent of Clairol’s Shimmer Lights shampoo pleasant. It smells like cheap chemicals, or expensive medication. I don’t think it’s a reason not to try this purple shampoo; I’m just giving fair warning. Summary: Clairol Shimmer Lights purple shampoo has a lot of dark pigment that can leave light coloring in your hair after the first use. It doesn’t smell pleasant and is very runny. I picked up an 8 ounce bottle of Clairol Shimmer Lights shampoo for $8.79. That comes out to roughly $1.10 per ounce. That’s somewhat in the middle of the road when it comes to purple shampoos. It’s not the cheapest, but at the same time, I now expect it to perform better than the inexpensive options. Summary: Clairol Shimmer Lights purple shampoo cost $8.79 for an 8 ounce bottle. It may be an okay choice for blondes on a budget. My blonde has slightly more orange tones. I had to use this product twice before seeing results, so I assume those with more yellow tones would see results within 1-2 uses. The directions indicate it should be applied for 3-5 minutes for extra brightening, which I did. One thing that stood out was how poorly the shampoo treated my ends. This could be because they are less porous, or possibly, because my I did not leave it on my ends long enough. After the second use, I noticed my hair felt very dry. This was surprising to me because the shampoo is infused with hydrolyzed vegetable protein which is supposed to help hydrate the hair. I suspect all the chemicals in the ingredients are to blame. I would not recommend this shampoo for everyday use. Summary: Somewhat did the job, and likely way more effective on blondes who don’t have orange tones. It did not smell the greatest and was very drying; definitely not an everyday shampoo. In terms of cost verse the benefits, Clairol Shimmer Lights shampoo did the job. Win. In terms of being a long-term solution, Shimmer Lights dried out my hair. Lose.I did not find it to be as effective on my ends. Lose. Summary: I would pay $8.79 for a bottle of Clairol Shimmer Lights shampoo with an added caveat: I would have to accept the fact that deep conditioning would have to become part of my normal routine. John Frieda’a purple shampoo contains proprietary color technology called “Color-Correcting Technology” which neutralizes brassy, yellow tones. John Frieda’s purple shampoo also has “Optical Brightening Technology,” which the company claims, absorbs UV light and makes color treated hair appear brighter by releasing white-blue light. As always, there are a few standouts in the ingredient section: Sodium Laureth Sulfate, Sodium Lauryl Sulfate, Lavender Extract and Cetyl Alcohol. John Frieda’s Colour Renew Shampoo contained both Sodium Laureth, and Sodium Lauryl Sulfates. I discussed these two harsh chemical detergents previously. They are potentially damaging to the hair and can cause dryness. Those sensitive to these chemicals may also experience skin or eye irritation. The Lavender extract in this purple shampoo’s ingredients is what supplies the sweet scent. Lavender essential oil has many uses and potential benefits. However, lavender extract is purely for scent and does not provide as many benefits. I thought digging into this one would yield more positive information. Oh well. Another interesting ingredient was Cetyl Alcohol. This kind of alcohol is produced from either petroleum or palm oil. This ingredient helps thicken the formula and prevents the oils and water from separating. Unlike rubbing alcohol, cetyl alcohol will not dry out skin or hair. It is also listed as non toxic and is used many cosmetics and foods. It may be mildly irritating to those with extremely sensitive skin. Summary: John Frieda Color Renew purple shampoo is formulated with many of the same ingredients as Clairol Shimmer Lights Shampoo. No surprises. The texture of John Frieda’s purple shampoo was on the thinner side. It was not nearly as runny as Clairol Shimmer Lights purple shampoo, but it wasn’t too thick either. It rinsed out very nicely, and unlike Clairol’s Shimmer Lights, it did not leave any violet staining in my hair afterwards. The purple color of John Frieda was not as dark as Shimmer Lights. I suspect this is one of the reasons why it requires 3 uses before results become apparent. I was surprised by the scent of this shampoo. It had a light lavender-like scent (thanks to the lavender extract in the ingredients). I definitely prefer it to a Clairol’s Shimmer Lights scented shampoo a.k.a medicine cabinets. Summary: John Frieda’s purple shampoo is lighter in color and requires up to 3 uses before results begin to show. It had a pleasant scent, applied and rinsed nicely. 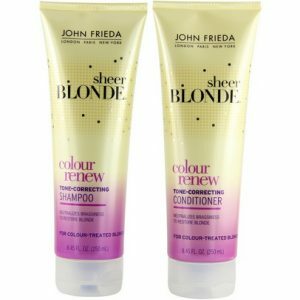 I was able to find a bottle of John Frieda Sheer Blonde Color Renew Shampoo for $5.99. It comes in an 8.45 ounce squeeze bottle, which is $0.71 per ounce. Not bad considering the price of Clairol’s purple shampoo. Of course, at the end of the day, performance matters most. Summary: At $5.99 per bottle, John Frieda is definitely the cheapest option. John Frieda purple shampoo helped tone down the brassiness and improve highlights, but did so less efficiently than I would have liked. After the first few washes, there was barely any difference. I also noticed that the color of the shampoo looked even lighter once it was lathered (technically making it even less effective). The shampoo did nothing to preventing dryness. 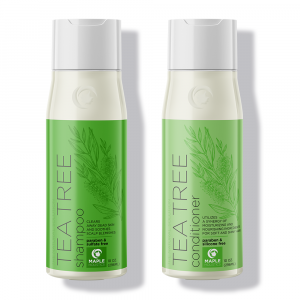 After my first week of use (3 times), I noticed my scalp and hair were both very dry. This made my hair more difficult to manage after each wash, and required me to deep condition. At the end of the day, I would not recommend this product to those who are looking for a major toning down of brassy colors. The chemical ingredients also dry out the hair and scalp, so it fixes one problem but creates another! Summary: Possibly a good budget shampoo, but expect many uses before seeing results if you have moderate levels of brassy tones. It is very drying, which is unfortunate because it requires many uses before the hair begins to lose brassiness. John Frieda’s Color Renew is definitely a budget purple shampoo. It is much lighter in color which makes it less effective. It’s also very drying, so repeated uses are going to cause new problems even as you rid yourself of old ones. Joico Color Endure Sulfate-Free Shampoo boldly states that blondes will have more fun when their hair is not brassy (more “sassy” as they put it). Their purple shampoo contains antioxidants and a peptide complex to nourish and strengthen the hair cuticles. Notably, it is the first sulfate-free contender. Hydrolyzed keratin proteins are fractionated protein compounds that easily bond to hair strands. The keratins can improve hair damaged by bleaching and over styling. While an abundance of keratin is damaging; Joico Color Endure lists hydrolyzed keratin listed further down the ingredients list. It is likely less potent which makes it safer for regular use. Joico Color Endure purple shampoo claims to contain antioxidants. The ingredient contributing the antioxidants is Citric Acid, which is mainly found in citrus fruits. Antioxidants can help reduce oxidation and free radical cell damage caused by exposure to ultra violet rays. Peptides are short, active chemical structures made up of amino acids. Peptides can promote anti-aging collagen synthesis, and may help improve the vitality of color treated hair. There are many different peptide types listed in the ingredients, so I will not cover them. The basic idea is that they support the hair by promoting hair strength, and by providing various amino acids to the cuticle and hair follicle. The final ingredient I being covered is Limonene, an orange scented fragrance extracted from the rind of citrus fruits. 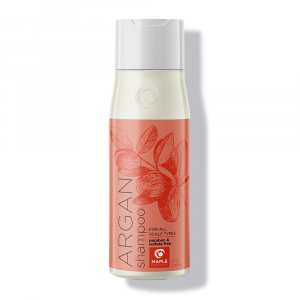 This additive contributes to the overall scent of the shampoo. Color Endure will definitely not smell like chemicals or medicine cabinets. Summary: Joico Color Endure’s ingredients are much cleaner than John Frieda or Clairol Shimmer Lights. There were no harsh detergents, and the added keratin and peptides should provide some level of hydration. Joico’s Color Endure had a texture and consistency similar to Clairol Shimmer Lights. It lathered decently, but not as nicely as John Frieda, which is most likely due to the fact it doesn’t contain sulfates. It rinsed out very easily and left no color streaks. I was very happy with Joico Color Endure’s pigment. It was much darker than John Frieda but slightly lighter than Clairol Shimmer Lights. The scent of this purple shampoo was a huge improvement over the two other brands. It smelled slightly floral, with hints of berry and citrus. It was definitely an improvement over the medicinal or chemical-scented purple shampoos. Summary: The formula was slightly runny and didn’t lather (because it is sulfate-free). The shampoo is a very dark shade of violet, and smells very pleasant compared to the two previously discussed brands. I found a 10.1 ounce bottle of Joico Color Endure for $12.99 which comes out to $1.29 per ounce. It is the most expensive purple shampoo tested for this review. Unless you plan on using it infrequently, I would not suggest this shampoo to those on a tight budget. Like I always say, in today’s world you tend to get what you pay for, and in this case, it’s for a chemical free formula. Summary: Joico Color Endure Violet shampoo is the most expensive of the purple shampoos at $12.99 for 10.1 ounces. Arguably the most important section, here we go. I was very pleased with the performance of Joico Color Endure Violet Shampoo. Within one wash I saw a noticeable reduction of yellow, brassy tones. As with Clairol Shimmer Lights, there was very mild violet toning left in my hair after the first use (despite proper rinsing). The toning disappeared after 2 more washes and has not recurred since, so I do not consider this to be a huge issue. One of the best points about this violet shampoo is that it did not dry out my hair. This is important because I am not a fan of using one product, only to discover it forces me to add 5 more to my routine. The absence of sulfates really made a difference, and I feel comfortable saying the keratin and peptides helped improve the sheen of my hair as well. However, I should warn: silicone buildup will not be adequately removed by this shampoo because it does not contain harsh surfactants (SLS and SLES). Consider eliminating silicone-based shampoos from your hair care routine! 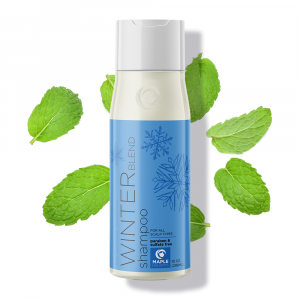 I would recommend this shampoo to anyone with sensitive skin, or to those that want sulfate-free hair care products. It costs a little more than Clairol Shimmer Lights, but it is well worth the extra few dollars. Your hair will be less dry and less brassy after 1-2 uses. Summary: Joico Color Endure Violet Shampoo did a great job of removing excess yellow and brassy tones from my hair. It left a mild violet tone in my hair after the first use, but since been a non-issue. 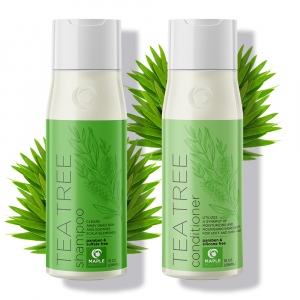 My strands did not feel dry, or look dull after use, and I like the sulfate-free formula very much. Joico Color Endure Violet shampoo is not the cheapest brass-removal solution available. However, I personally think the benefits outweigh the cost. If you are already considering Clairol Shimmer Lights, make Joico Color Endure Violet shampoo a contender as well. It’s worth the extra few bucks. Read all about The Benefits Of Derma Rolling and The Benefits Of Oil Pulling while you’re here at Maple Holistics! It doesn’t dry out hair. It doesn’t smell like a medicine cabinet. It does provide immediate, high quality brass removal! It does help hydrate and improve sheen! Are you thinking Joico Color Endure Violet Shampoo? You are correct! I chose Joico because it reduced brassy tones while preventing dryness. Unlike John Frieda’s purple shampoo, I saw results after one use, during which my hair did not turn into straw. Clairol Shimmer Lights is a close contender, but it contains harsh sulfates that caused my scalp and hair to quickly dry out. A sulfate-free opportunity is available, why not take it? I hope this review helped cut through all the purple shampoo noise. Now share this article with your fellow blondes and go do something about that brassy hair!